I have known Tony in various capacities over the years. We first met and worked together on the Horton High School grounds maintenance project, then as one of my students and now as a contractor helping to beautify landscapes. He has always impressed me as a caring, diligent and very capable horticulturist.It is his concern for excellence, working carefully with his clients and his attention to the little details that set him apart from other landscapers. We have had the pleasure of employing Tony Coakley on an annual basis since 2007. 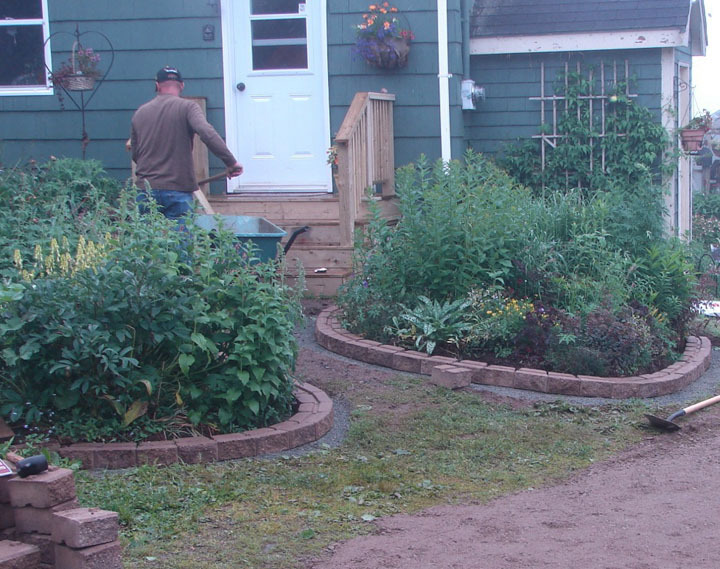 He has worked on developing several existing garden beds and establishing new ones. The work he completed around our large spring fed pond was exceptionally well done. He also did an excellent job of laying a beautiful sandstone path approx.100 feet long. Tony displays a professional manner and listens to the needs of his customers. He and his staff are diligent, hard working and respectful of their environment. Tony has a sound knowledge of horticulture and can make appropriate suggestions in layout and application. We wish Borealis Horticultural Services continued success. 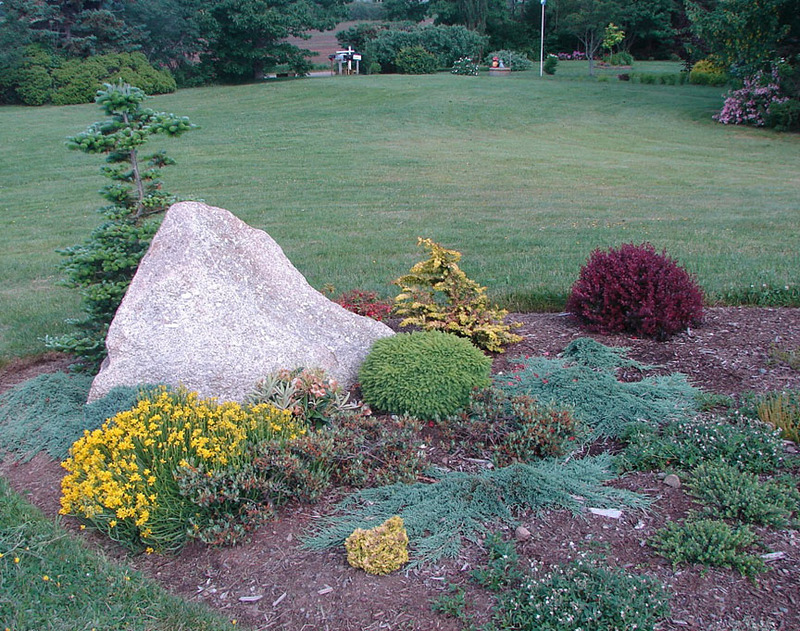 Tony Coakley has excellent knowledge for beginning a large or small landscape project and working through to conclusion. He works with the customer to make the best decisions for the homeowner. He and his crew are congenial, ever polite and have an excellent work ethic. He used a professional design and tweaked it to suit our lifestyle in terms of our wants and our ability to maintain it. The biggest favour he did for us was to tell us that the plan we had and our site did not mesh due to possible erosion. He advised changing the plan to prevent erosion thereby protecting our investment. In doing so there was an additional cost and he shopped around to find the best prices. Tony treated our investment as if it was his own always searching for top quality sod, perfect plants, and settling for nothing but the best. We had searched out competitors but Tony Coakley had the skill set for our difficult project, the understanding of us as homeowners, and was willing to adapt as we changed our minds along the way. When we are asked about potential landscapers we always recommend Tony and his crew because we believe they are the best. Tony Coakley is a true plantsman, fascinated with plants and always learning more about the best plants for his clients’ properties. He is meticulous in planning a project, from the steps needed to the cost of labour and supplies, and he sticks to those costs. His team is always pleasant to have around our property, and we’re looking forward to more projects this year and years to come. Jodi DeLong, garden consultant and photojournalist.